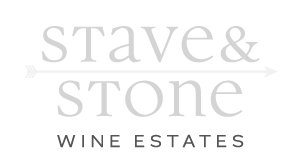 Stave & Stone Winery is open year round in two beautiful locations. Spend a day in our beautiful ‘backyard’ which is full of breathtaking waterfalls, stunning hikes, year-round skiing, and world-class water sports. Or, come enjoy our quaint downtown full of boutique shops, art galleries, and amazing restaurants plus get your fill of breweries, distilleries, and wineries, all within easy walking distance! It’s no wonder Hood River has been named the ‘Best Adventure Town in the West’ by Sunset Magazine. Our vineyard location is hard to beat. Enjoy a glass of one of our award winning wines while you take in the view from inside our cozy tasting room or out on our covered patio surrounded by our estate vineyard with views of Mt. Adams and the valley beyond. Enjoy the works of local musicians and artists at both locations while tasting wines expertly paired with artisan cheese boards. Our goal is to give you the ultimate local experience which is why we also serve beer and ciders brewed to perfection in Hood River. Comfortable and classy, our downtown location is ideally located in the heart of downtown Hood River, Oregon. Our winery reflects the unique beauty of the Columbia River Gorge, and our wine is a tribute to the craftsmanship that is putting Oregon wines on the map.